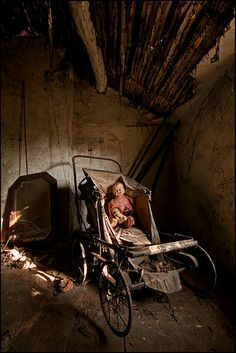 This harrowing photo came from my pinterest account. I think it’s utterly disturbing. Why was the doll left? What happened to the house/town? Is it still empty/barren? What are you/your character doing there? Who’s pram was it? What’s your next move? Who did the doll belong to? Was the doll loved? Are you at war? Where does the doll end up?